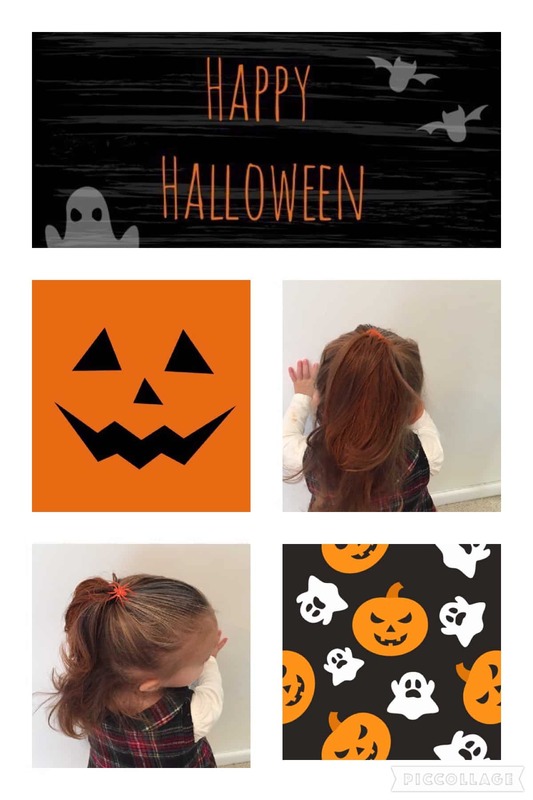 So as its nearing closer to Halloween, i thought it was the perfect opportunity to get creative and make some hairstyle tutorials that you can follow to create on your scary little ones on Halloween. Happy Creating ! 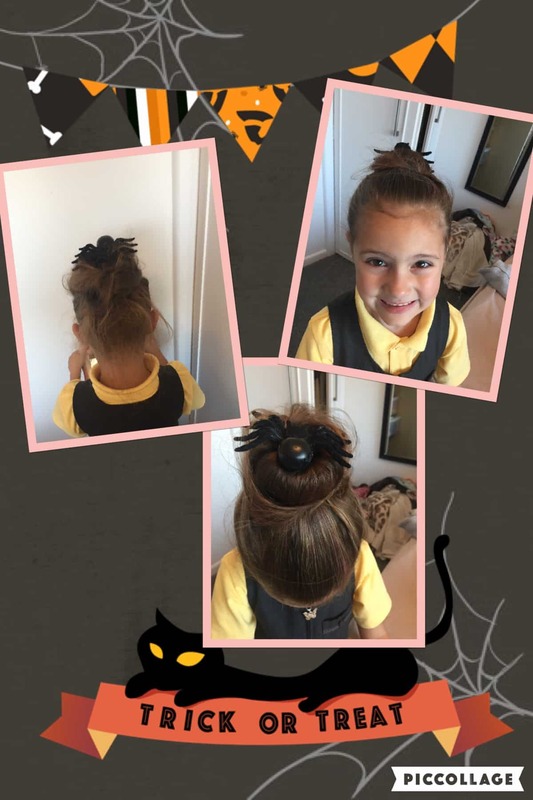 Take a look at the spider we used for millies hair - only £1.99 !! click here. 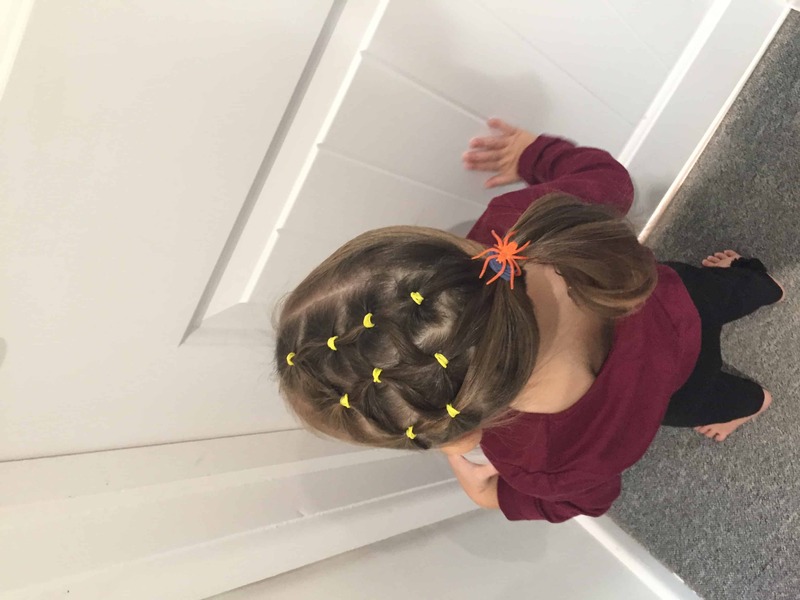 Take a look at the pack of spider rings we picked up from amazon click here. 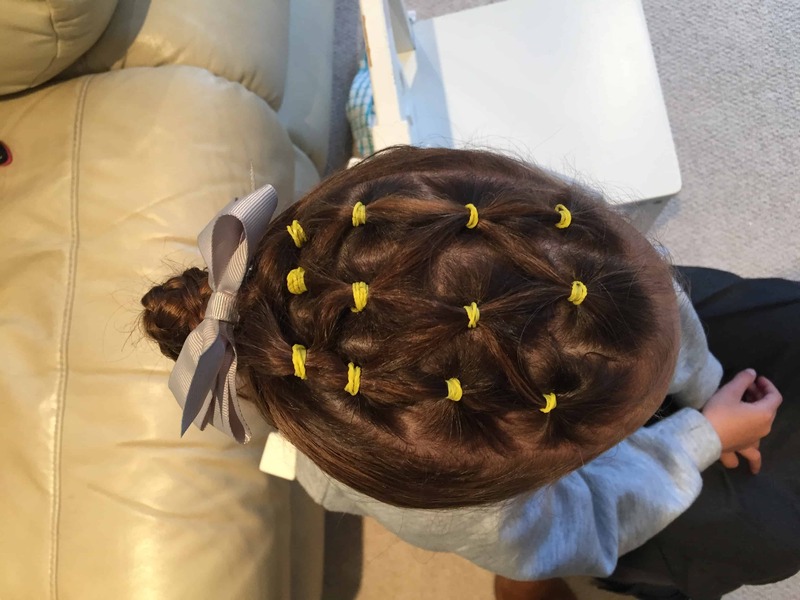 Here is similar style to above by following the instructions for the spider web to create the top but instead of adding all three strands into the ponytail i have created a plait and wrapped it around the top of the hairband and hair gripped it in which gives it a bit extra to the style. 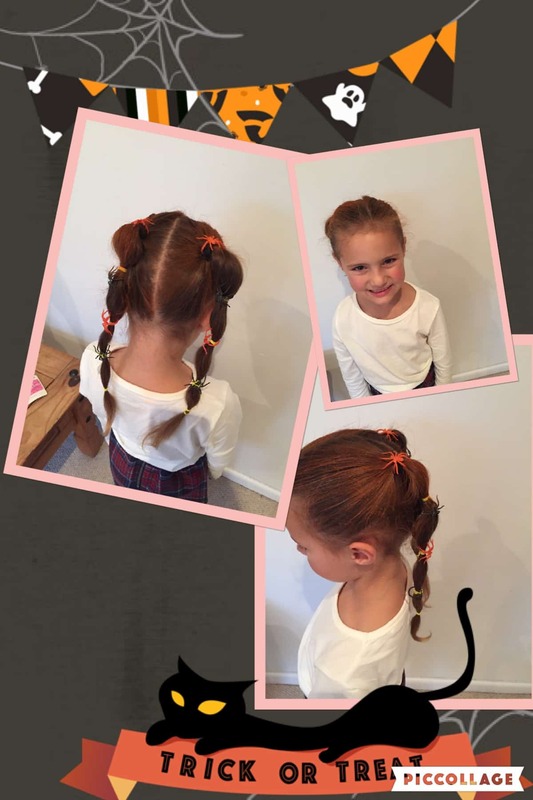 You may also like to take a look at my Disney hairstyles for those princesses dressing up even if it is Halloween. 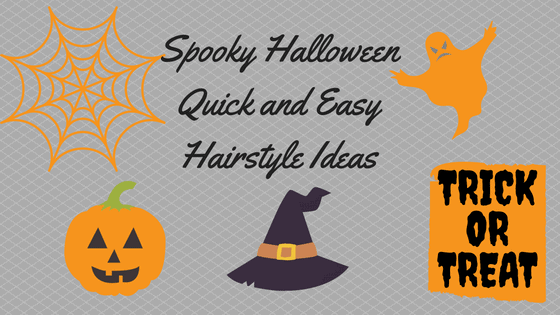 Happy creating and have a happy Halloween ! !